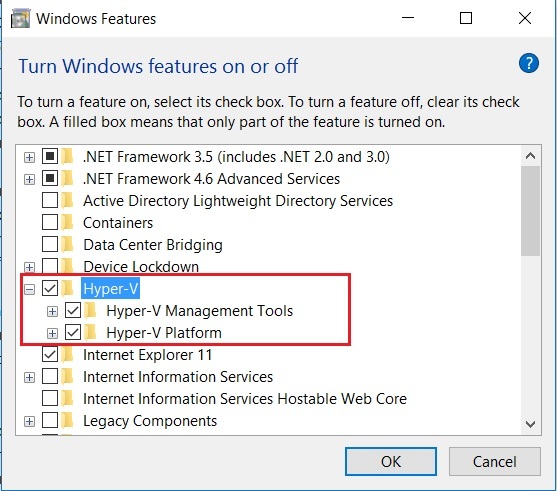 In this post I will show you how to install, setup and configure Hyper-V virtualization tool from Microsoft in Windows 10. 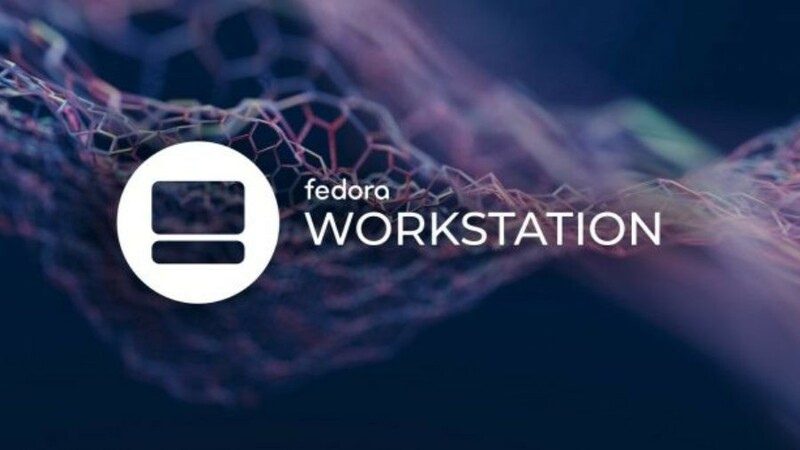 There are other popular tools available such as VMware Workstation which can be used instead of Hyper-V but they are not free and costs you money. Also buying licenses for VMware Workstation is an option for Corporate/Business users and makes little sense for Home users. For home users free alternate for VMware Workstation is Hyper-V which is free, but there is a catch. Below is the YouTube Video which describes the process. You can start by watching the video. Rest of the blog discusses the steps in detail. To install Hyper-V, your computer must meet the below requirement. 64-bit Processor with Second Level Address Translation (SLAT). CPU support for VM Monitor Mode Extension (VT-c on Intel CPU’s). Minimum of 4 GB memory. As virtual machines share memory with the Hyper-V host, you will need to provide enough memory to handle the expected virtual workload. Virtualization Technology – may have a different label depending on motherboard manufacturer. Hardware Enforced Data Execution Prevention. The above requirement might seem confusing to you. What all the above means that you should have Windows 10 Pro, Enterprise or Education edition installed on your system and your CPU or processor must support Virtualization Technology. To find if your processor supports Virtualization Technology or not, you can Google search the specification of your processor or refer to my post which explains how to find out if your CPU supports Virtualization either Inter VT-x or AMD-V. Please note that VMware Workstation 12 or Oracle Virtual Box does not require Virtualization Technology if you want to run 32 bit OS. 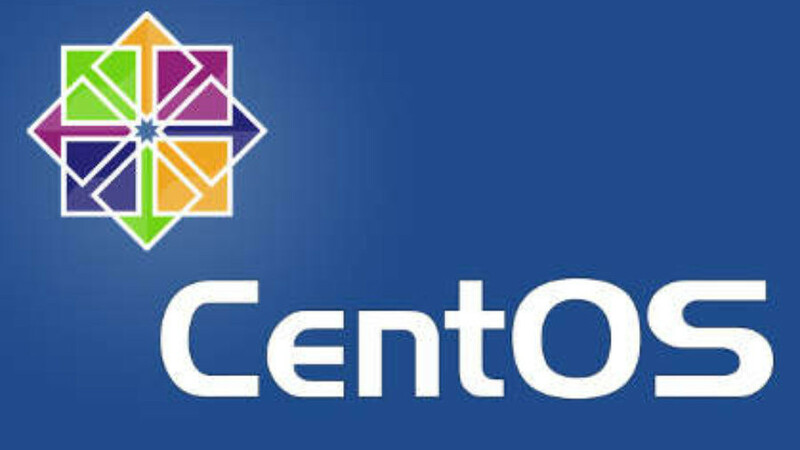 However for 64 bit OS, you still require Virtualization technology for both VMware and VirtualBox. So don’t loose hope if your Processor does not support Virtualization Technology. You can use VMware Workstation or Virtual Box as alternatives to Hyper-V to run 32 bit OS. To enable Hyper V, system must have Virtualization Technology Enabled in BIOS. For AMD processors, Virtualization is enabled by default, but in the case of Intel, VT-x may not be enabled by default. So, there are steps to be followed to enabled Intel VT in BIOS or UEFI. Please follow my post on Step by step guide to enable Intel VT-x or AMD-V in BIOS or UEFI in Windows 10 and Windows 8. 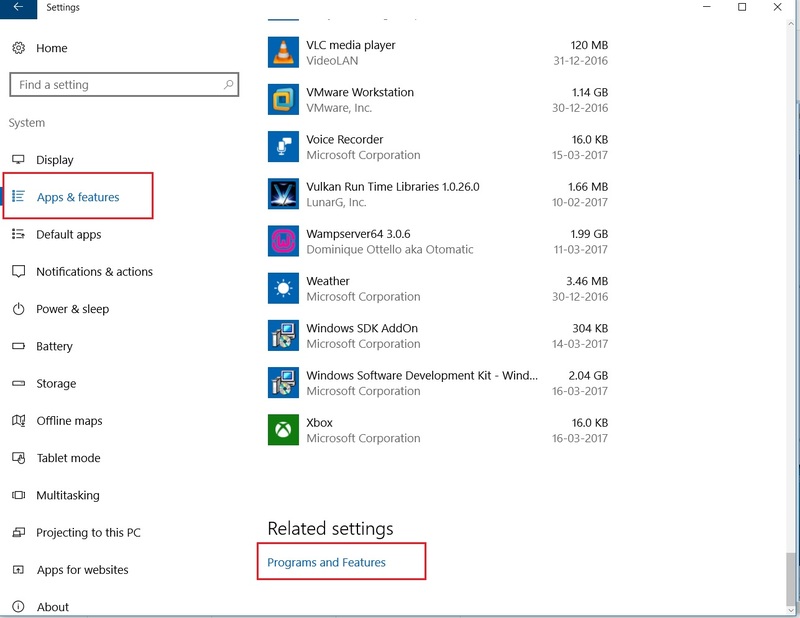 Program and Feature is the same in Windows 10 as in the previous versions of Windows, Control Panel->Program and Features. 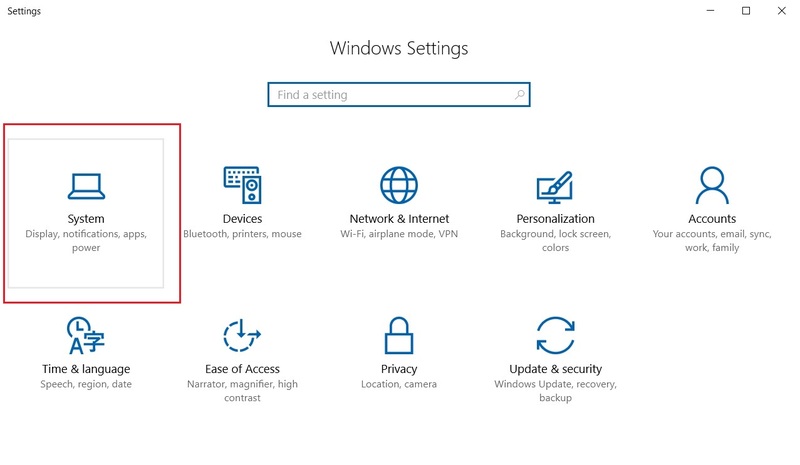 Only difference is that in Windows 10, Control Panel has been replaced by Windows Settings and Program and Features has been replaced by Windows Settings -> System-> App and features. 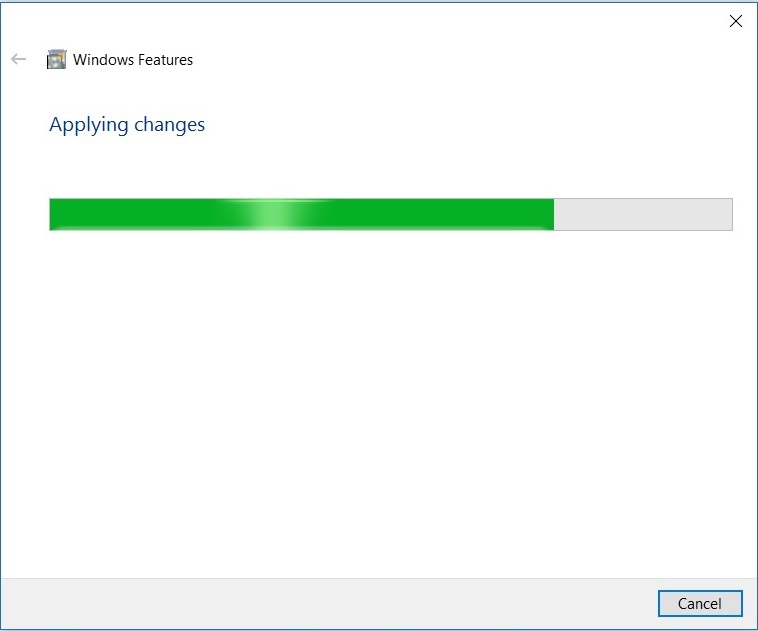 But still in Windows 10, Control Panel and Program and Features has not been completely removed. 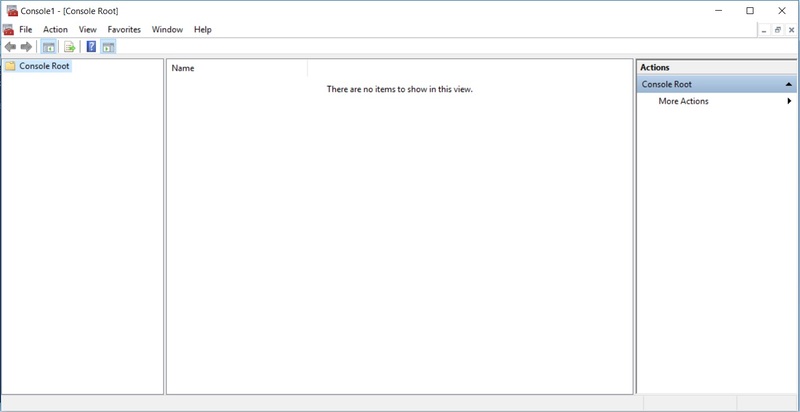 It has been removed from the Start Menu and therefore difficult to find. 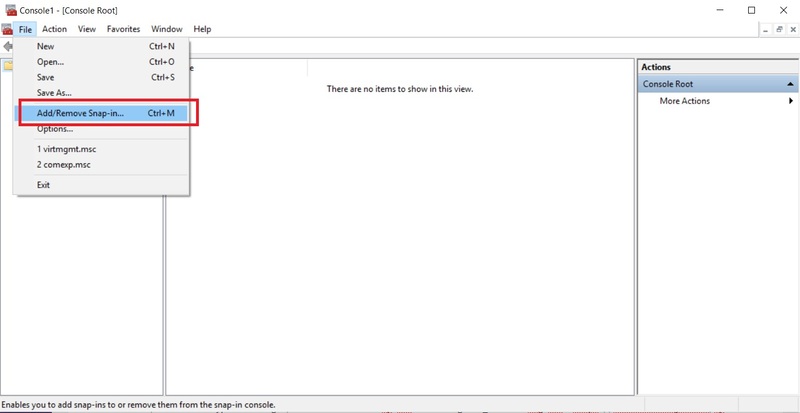 To find Control panel and Program and Features, you will have to search in the Taskbar as shown below. 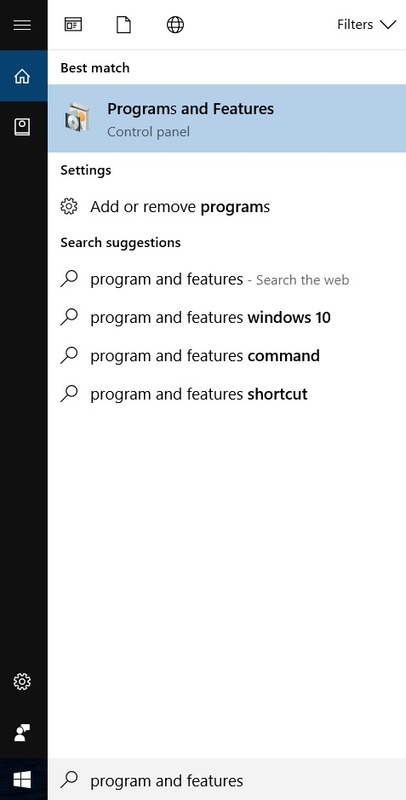 In the Search result, on top you will see Program and Features. Click on it to go to Program and Features.
. You will see Windows Settings Dialog box. At the Bottom, you will see program and Features. Click on it. 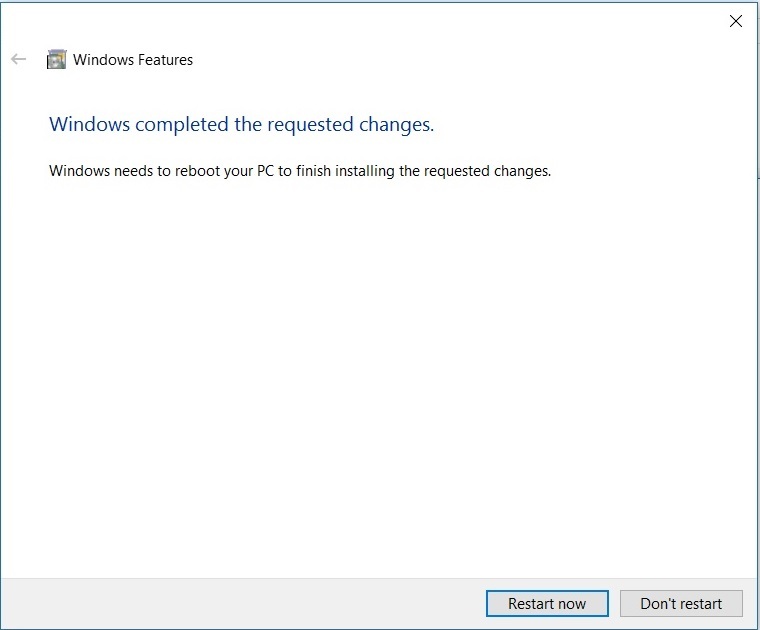 Click OK and wait for the process to complete and at the end you will be asked to restart your computer. Please go ahead and restart your computer for the rest of the process to complete. 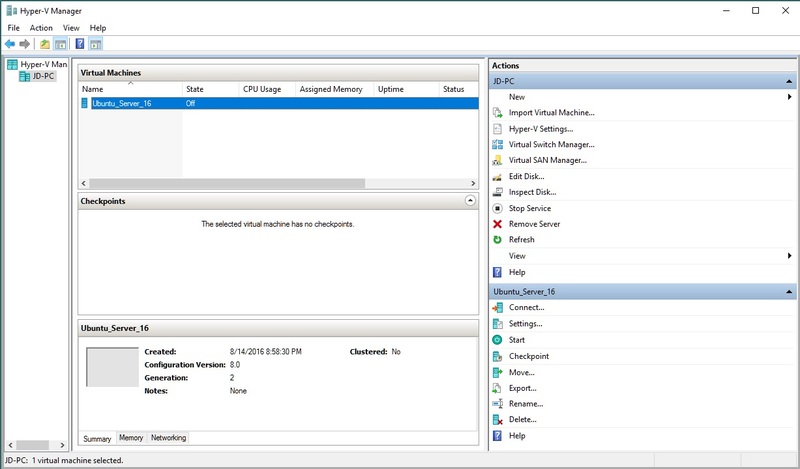 After the process completes, there are additional steps that needs to be done to configure Hyper V manager. 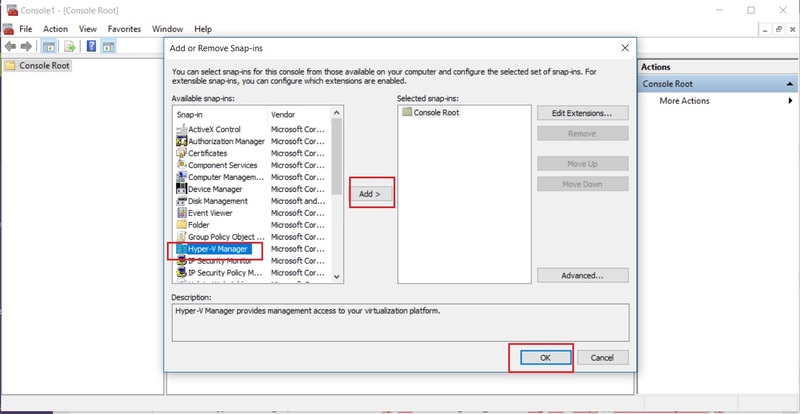 In Add Remove Snap in Dialog box, select Hyper V, click add and click OK. This will add Hyper V in Console root. You can close MMC Console now. You will be asked to save. Quit without Saving. 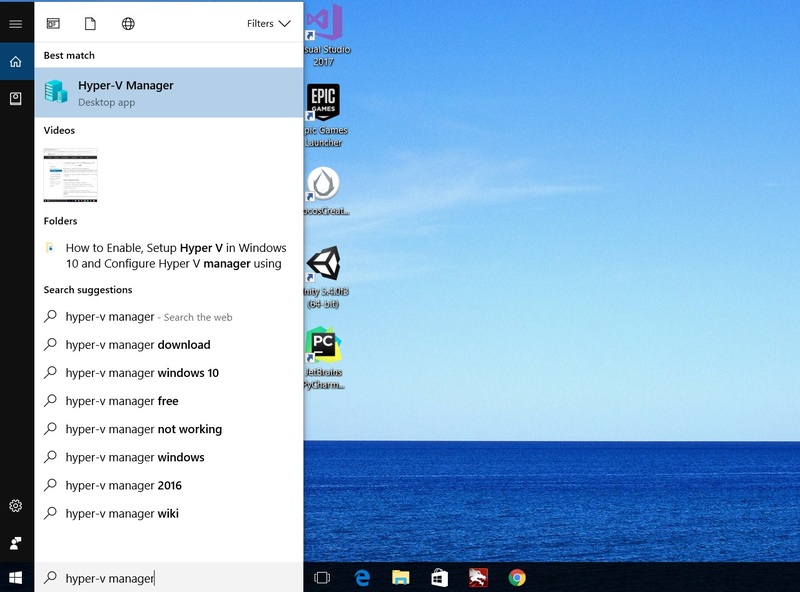 Step 3- Now you will be able to see Hyper-V manager in Start Menu under Windows Management tools. 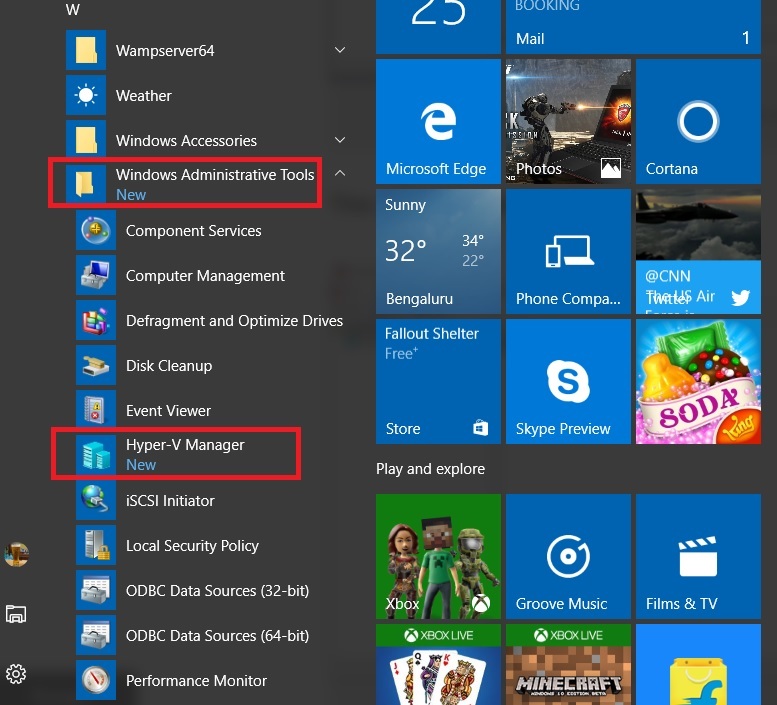 You can also search for Hyper V in Windows 10 task bar. 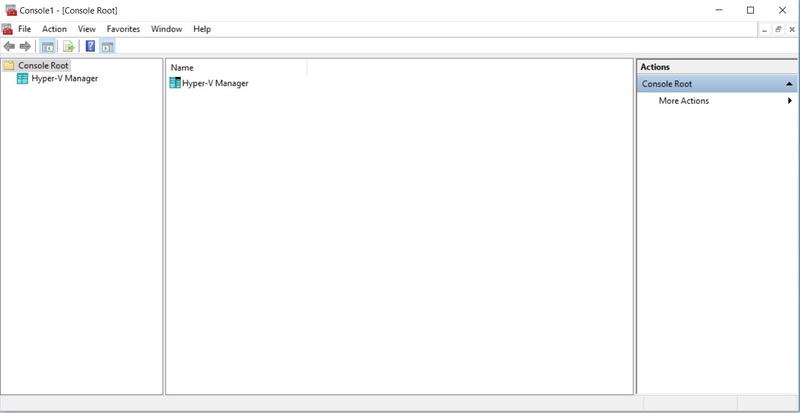 Step 4- Click on Hyper V manger to open Hyper V manager. This is the place where you create, start, stop and configure Virtual Machines in Windows 10. That’s it, you are done. Thanks for visiting my blog.